If you know the exact date that you would like to schedule your balloon ride click on the “Book Online Now” button below. You must enter the promo code F86 in the “Apply Discount Code” section of the reservation form, then click “Apply Discount” and then click the “Add” button to receive the $86 off per person discount. 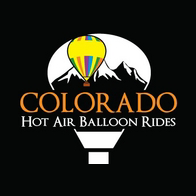 If you don’t know the exact date that you would like to schedule your balloon ride or you would like to give the balloon ride as a gift you can purchase a gift certificate and schedule the balloon ride later. To purchase a gift certificate click on the “Purchase Gift Certificate” button below. Our $189 Sale Price is valid for any date during our 2018 flight season that runs from May 19th – October 7th.